LONDON — A monster story set in a Baghdad torn apart by violence is among six contenders for the prestigious Man Booker International Prize for fiction. The list of finalists announced Thursday includes Iraqi writer Ahmed Saadawi's "Frankenstein in Baghdad," which depicts real and imaginary horrors after the U.S.-led invasion of Iraq. 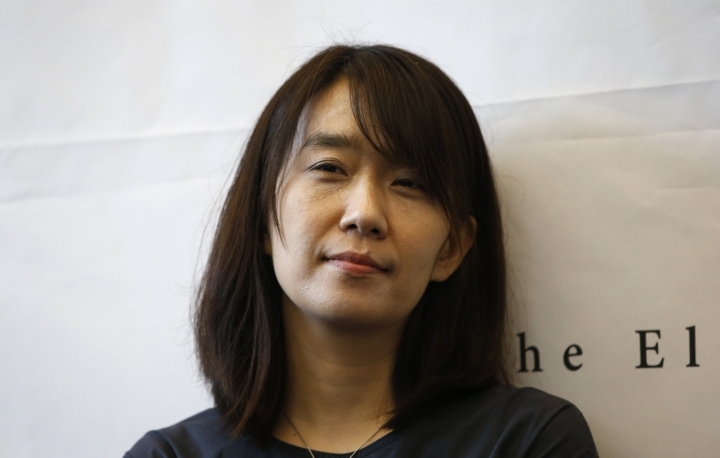 South Korea's Han Kang, who won in 2016 for "The Vegetarian," is nominated again for her meditative novel "The White Book." Also on the list is globe-spanning story collection "The World Goes On" by Laszlo Krasznahorkai of Hungary. He won the prize in 2015 before it changed from recognizing the careers of writers to an award for an individual book. The other contenders are French writer Virginie Despentes' "Vernon Subutex 1," a rollicking journey through Paris's bohemian netherworld; Spanish author Antonio Munoz Molina's "Like a Fading Shadow," which depicts the murderer of Martin Luther King on the run in Lisbon; and Polish novelist Olga Tokarczuk's novel of journeys, "Flights." The prize is a counterpart to the Man Booker Prize for English-language novels and is open to books published in any language that have been translated into English. The 50,000-pound ($70,000) award is split evenly between the writer and the translator. The winner will be announced May 22.